Every year, at least 4 times per year, my family and I will go back to our hometown, Malacca, FYI, I was born in Malacca, but only live in Kuala Lumpur. Skip the intro, oh well, as usual, year end, school holidays, Christmas, will go back to Malacca, 2 hours journey from KL with the speed limit of 110km/h. 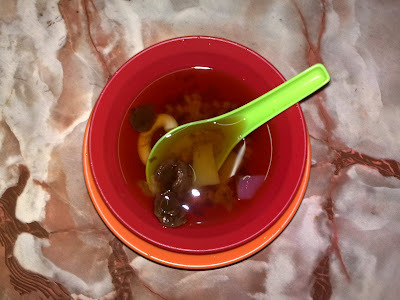 As Friday, my family and I went to my aunt’s house for lunch, and I suggested to have a dinner supper at Bunga Raya(town area), the dish will be the very high-demanded food, Fried Oyster, at the same time, I suggested to have a walk at Jonker Walk right after supper. The reason I suggested Fried Oyster is because I missed Fried Oyster very much, desperately, 8 months in Miri, my another aunt in Miri(origin Malacca also, but stucked there for 1 year plus due to his son) and I searched everywhere and found none. Well, without any second thought, everyone agreed, and my aunt suggested to go at 9pm, right after the Live News on TV. And so, everything went well as planned. 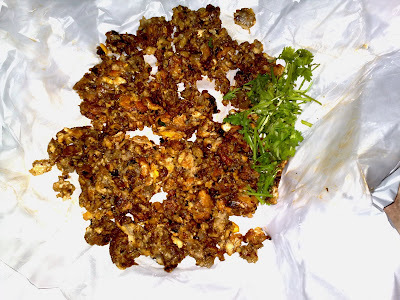 Once reached Bunga Raya, first food to be ordered of course will be the famous Fried Oyster. Since everyone of us didn’t have such supper for quite some time, right away, my aunt treats us this supper pleasantly. At the mean time, the drink we ordered will be the ‘Six Flavored Drink’, in Chinese known as 六味汤, I’m not sure whether the English name for the drink is that, I just translate it indirectly. Oh well, might to give it a try, you will love it. Pictures of Fried Oyster and the ‘Six Flavored Drink’ are as below. The drink supposedly to have more, but I drank 40% of it, sorry. 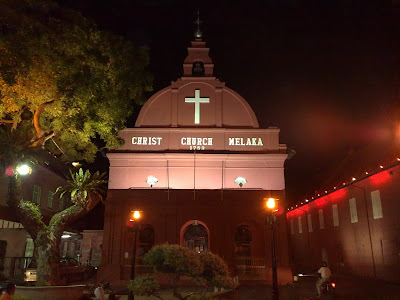 Right after the supper, we headed to Jonker Walk, it located next street to Bunga Raya, will pass by Christ Church if you use the main road. Usually we will do this during Chinese New Year, but since I’m bored, I just simply suggest it, hehe. 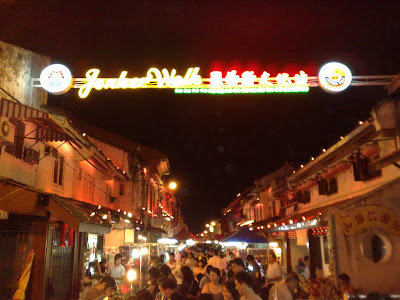 For those who doesn't know about it, might to have a quick walk at Jonker Walk. It will only be opened from Friday till Sunday, night till mid night. You can find some little serviniors at there. Here's 2 pictures of it. 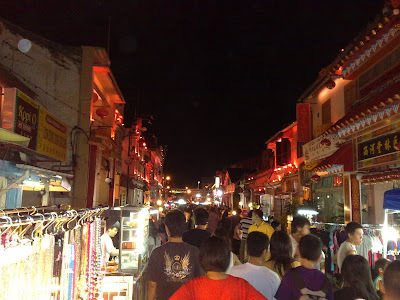 After enjoyed the day, all of us headed back, it was 12am and the stalls at Jonker Walk were closing. Here's an additional picture, it's the Christ Church.